Koons, Jeff and Norman Rosenthal. Jeff Koons: Entretiens avec Norman Rosenthal. Hove, England: Thames & Hudson, 2014, p. 228 (installation view, Museum of Contemporary Art Chicago, Chicago, 2008, partial) [French Edition]. Koons, Jeff and Norman Rosenthal. 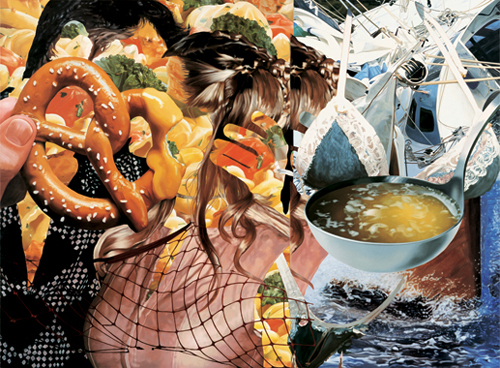 Jeff Koons: Conversations with Norman Rosenthal. China: Thames & Hudson, 2014, p. 228 (installation view, Museum of Contemporary Art Chicago, Chicago, 2008, partial) [English Edition]. Artforum September 2008, p. 449, illustrated in color (installation view, Museum of Contemporary Art Chicago, Chicago, 2008). Holzwarth, Hans Werner, ed. Jeff Koons. Cologne, 2008, p. 510, illustrated in color. Woltmann, Marit, ed. Jeff Koons Retrospektiv. Exh. cat., Oslo: Astrup Fearnley Museet for Moderne Kunst, 2004, p. 111. Schneider, Eckhard. Jeff Koons. Bregenz: Kunsthaus Bregenz, 2001 [Text by Alison Gingeras], pp. 100-101.